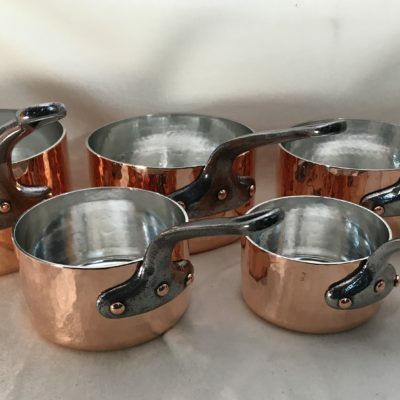 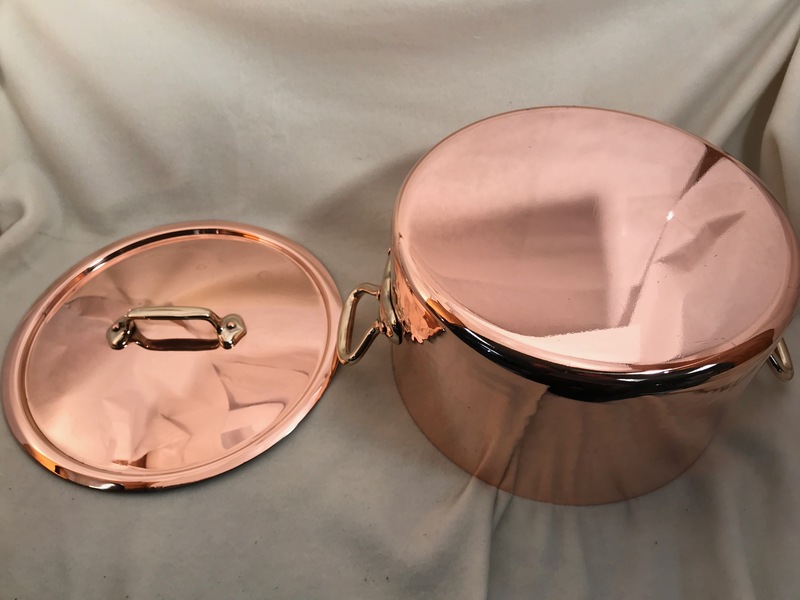 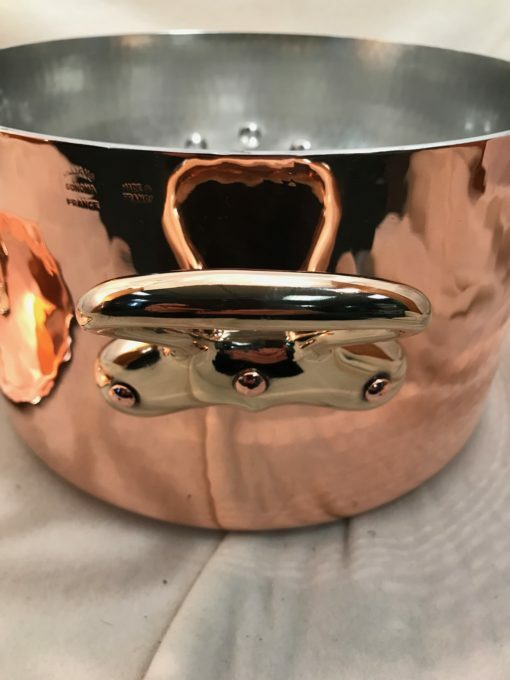 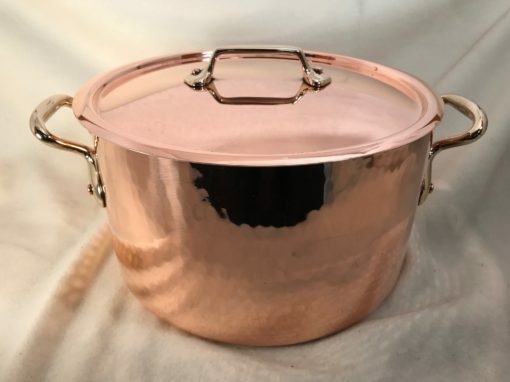 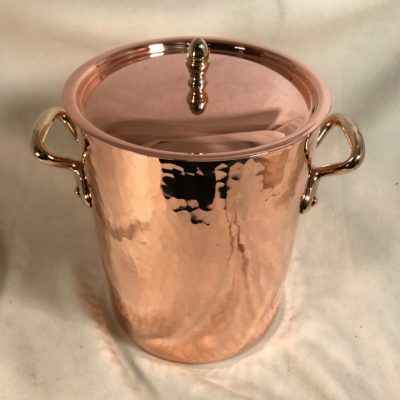 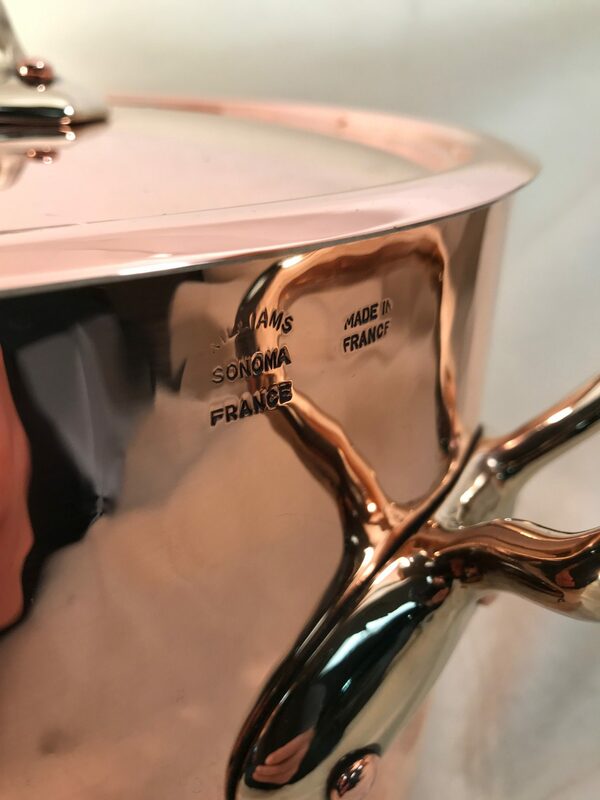 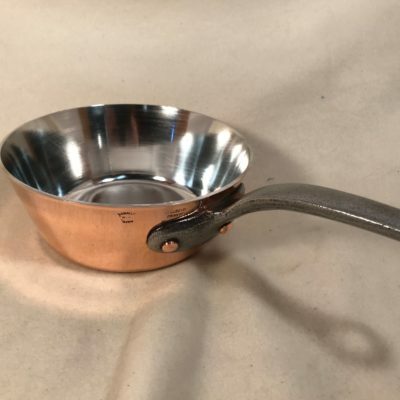 This is a wonderful completely restored French hand hammered copper stew pan. 11.5 inch diameter 6.5 inch height. 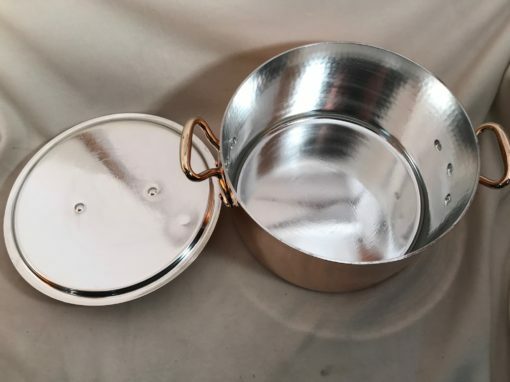 Lid weighs 2 pounds and has a diameter of 12 inches.